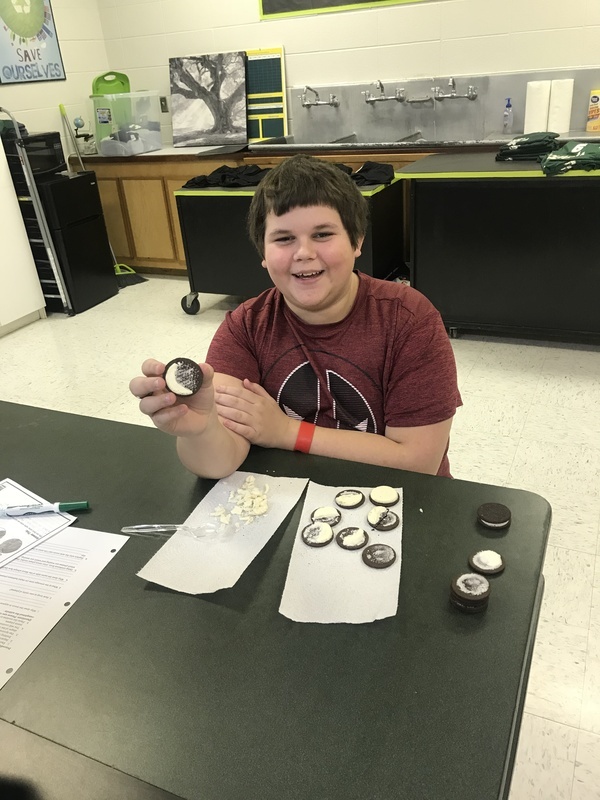 Ms. Blankenship’s 7th grade science classes have been studying the formation of the solar system and the bodies that are in the solar system. 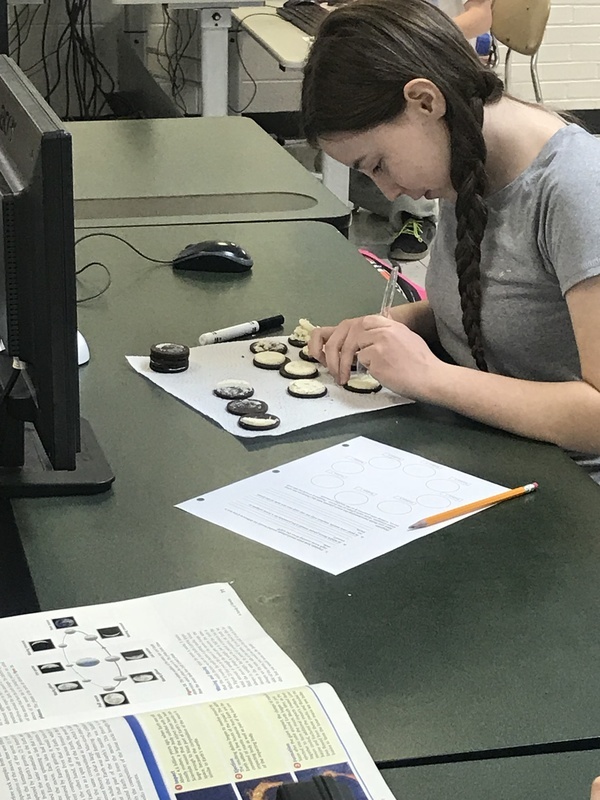 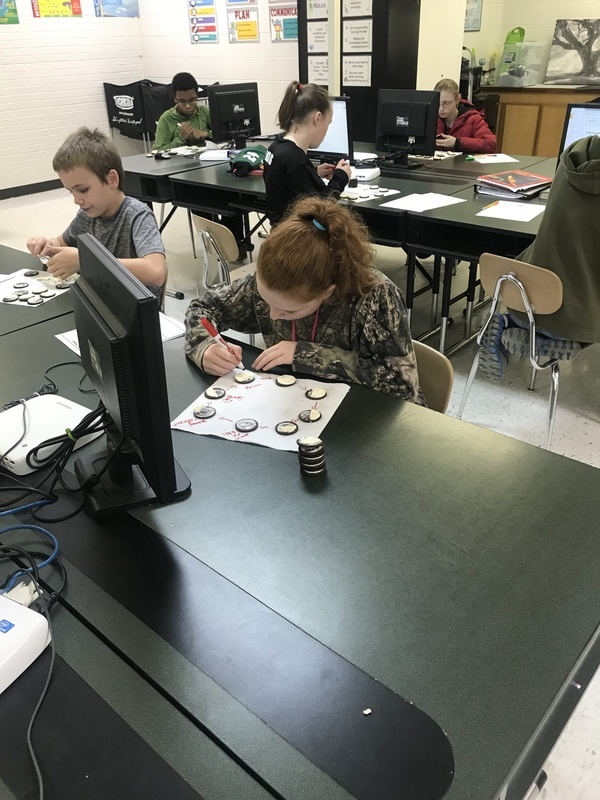 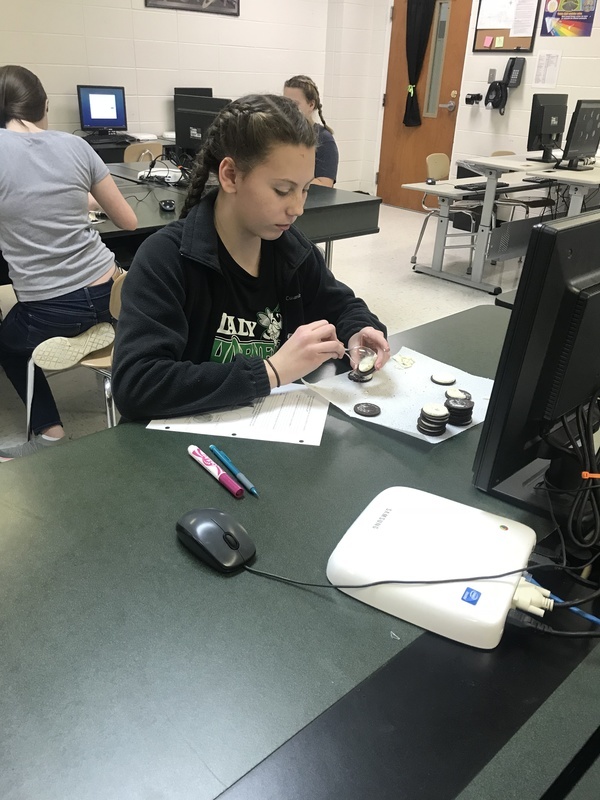 In this lab students were asked to create a model of the eight phases of Earth’s Moon with Oreo cookies. 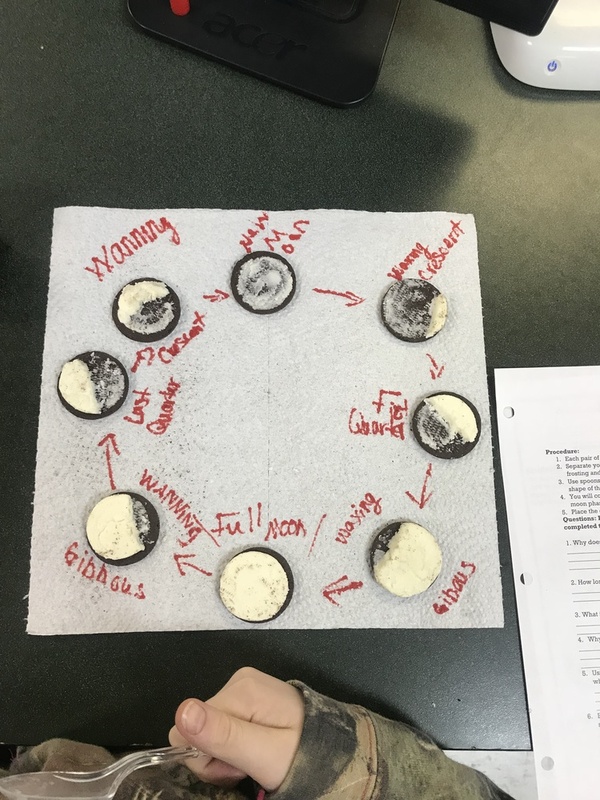 The model had to include the correct order of each phase, correct labels for each phase, and answer follow up questions pertaining to the moon, its orbit, and its relation to Earth.